Camp Chef’s Italia Pizza Accessories Kit gives you everything you need to become an artisan pizza chef. Camp Chef’s Italia Pizza Accessories Kit gives you everything you need to become an artisan pizza chef. With two pizza peels and a spatula, using your pizza oven has never been easier. When dinner is ready, use the Rocking Pizza Cutter for easy serving. 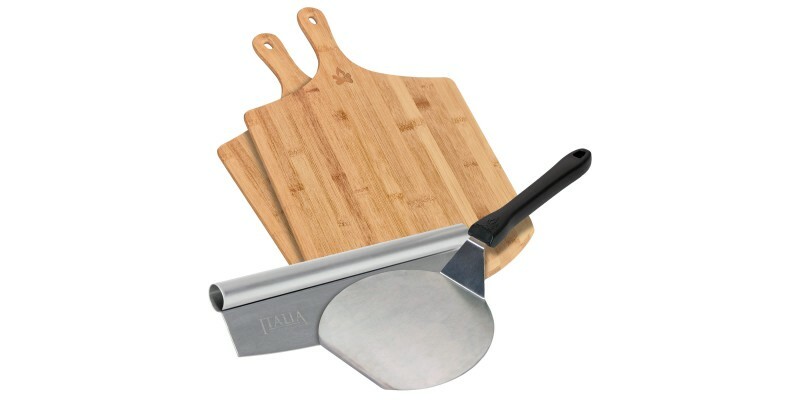 Save yourself some money today when you purchase the Italia Pizza Accessories Kit all together.